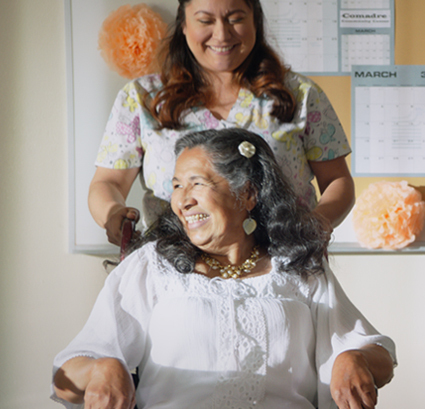 Lupita is finally living her truth in her golden years and today she marries the love of her life in her senior residence. Unfortunately, an uninvited guest disrupts Lupita’s wedding ceremony to Ramona. The elderly couple is forced to contend with the effects of homophobia. Lupita, in particular, realizes what living in secret as a lesbian has cost her. 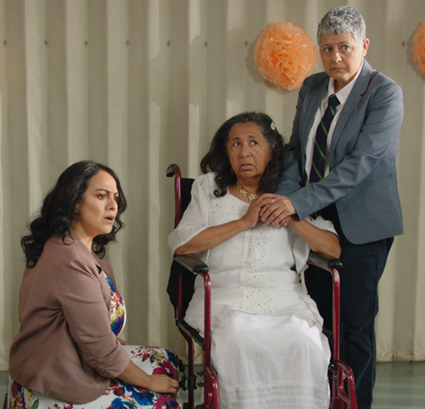 Adelina Anthony is an acclaimed and award winning two-spirit Xicana lesbian, actor, writer, director, producer, and teaching artist who hails originally from the Southside barrio of San Antonio, Tejas. She has over twenty years of professional artmaking experience and has garnered best actress nominations and awards. As an emerging filmmaker she participated in Film Independent’s Project Involve Program from 2012-2013 and was awarded the Sony Diversity Fellowship Award. During that time she penned the award winning short film, You’re Dead to Me (2014 Imagen Award Winner): executive produced by Film Independent’s Project Involve in partnership with the National Minority Consortia of PBS, which included Latino Public Broadcasting. Adelina is also the writer of the 2016 Project Involve short film, Get the Life, which is presently on the film circuit. Her first feature film, Bruising for Besos, has played at national and international film festivals; it will be distributed online this coming October by AdeRisa Productions: an independent, grassroots film and distribution company focused on telling stories by, for and about Xicanas, Latinx and Queer & Trans People of Color. Marisa Becerra is the co-founder and a managing member of AdeRisa Productions, LLC, now in its fifth year of producing community oriented indie films. She is a successful business owner and entrepreneur who brings 20 years of business management and accounting experience to the company. In addition, she has many years of volunteer work and activism focused on issues affecting people of color and LGBTQ communities. Her passion for the arts, progressive education, and social/economic justice movements fuel the vision of this company. She has been a producer and/or executive producer for the following projects: Forgiving Heart (short film), The Good Kind (short film), Bruising for Besos (feature film), Gold Star (short film), and Amigas with Benefits (short film). Along with Adelina Anthony, she is presently building up the grassroots distribution arm of their company.